Measure the height of closely surrounding trees and perform a “Balloon Test” to get an idea of how visible various tower heights might be in our neighborhood. As you can see, there is quite a bit of information to share and we will cover all of this in a series of posts. This post will cover the first four steps in the process. We will also cover the wire antenna systems for 80m and 160m in a separate series of posts. 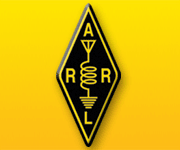 The ARRL Antenna Book is an excellent source on the various techniques and software used as part of our design process. I highly recommend that anyone considering an antenna and tower system project like ours spend some time reading the relevant chapters of this book before undertaking the design process. Allow for both of us to share the available antennas and operate at the same time. This includes having at least two direction HF beams available for us to share. The antenna behaves much like a mono-band Yagi which supports our desire to operate two transmitters at the same time on different bands. The SteppIR DB36 provides 3 elements on 40m and 30m, 4 elements on 20m – 10m and 6 elements on 6m. It also has the option to include a rotatable dipole on 80m. The 80m dipole option uses a wire and a loading coil which runs parallel to the boom and uses the end elements to complete the dipole and end load it. The resulting performance is about 0.8 dB less than a full size 80m dipole. We decided to use two DB36s which allows each of us to use one when operating multi-op. This decision also allowed us to use them together in an array which added additional gain enabled much cleaner antenna patterns across the wide range of bands that we are covering with the system (more on this later). Finally, we elected to equip the top DB36 with the 80m dipole option. The next step was to measure the height of the trees surrounding our backyard. We did this with the goal of getting the tower high enough to get future UHF antennas above the top of the trees. This can be done a variety of ways. We used a device called a Clinometer and a long tape measure. We found that our trees which would surround the tower ranged in height from about 85′ – 95′. Based upon this, we settled on a tower height of 100′. We wanted to be respectful to our neighbors and limit the visibility of the final installation. To this end, we decided to do a “Balloon Test” to see how visible the final result might be in our neighborhood. This is done by filling a large balloon with Helium and raising it on a string marked every 10′ on a calm day. After some experimentation with various heights, we settled upon a 100′ tower with a 15′ mast on top. At this height, the mast will be about 10′ above the tallest trees that surround our back yard. Only our closest neighbors will be able to see the system when it’s up yet this height will allow future UHF beams to clear the tree tops (the angle used to take the picture above makes the balloon look much higher than it is). This test should be done when there are no leaves on the trees as this is time of year when the system is most visible. The next step was to speak with our nearest neighbors to confirm that they were ‘OK’ with our plans. Fortunately, they were. The next step was to build models of the DB36s in an antenna analysis program called EZNEC. We did this using the actual dimensions of the boom and element placements/lengths from SteppIR’s DB36 manual and we approximated the curved elements as if they were straight. This is a good model for this antenna on 20m and up and should also be pretty accurate on 40m. All of our modeling was done using “Poor” ground conditions (what we have here in southern New Hampshire). We experimented with the EZNEC models at various heights and tentatively settled on placing the top antenna on the mast at 105′ and the middle antenna on a rotating ring at 65′. The final choice of spacing is critical for the system to perform well across the wide range of bands that we plan to operate it on. Also, the 105′ height is quite high for a single antenna on 20m and above. To understand our selections, lets look at some of the EZNEC results. As you can see, the upper DB36 provides good gain (12.25 dBi) and a reasonably low Takeoff Angle (T/O) of 18 deg. at the 105′ level. The pattern is not great with a large secondary lobe with a T/O angle of about 60 deg. Now look what happens when we add the second DB36 antenna at 65′ configured as an in-phase array. Note how the array improves the overall pattern of the system on 40m. We see a slight increase in overall gain (approximately 1 db) but the high angle energy is now directed in the upper part of the main lobe which makes this power much more useful for medium range DX work. Also note the improvement in the Front/Sidelobe performance indicating the pattern of the system has become “tighter” and more directional in the azimuth plane. All of these differences are worthwhile improvements. As we’ll see later, the Stack Matching system used to create the array will allow us to operate the antennas together both in-phase (BIP) as an array or separately as well as both out-of-phase (BOP). This creates a lot of flexibility in the resulting antenna patterns and enables coverage of almost all arrival angles. Now lets look at the EZNEC analysis for 20m. First, we have the pattern for a single DB36 at 105′ on 20m. As you can see, we have an excellent T/O angle of only 9 deg. but the antenna pattern is rather badly split into three lobes. Having the energy spread out over a wide range of T/O angles is not necessarily bad but the nulls between the lobes mean that the stations which at these angles will not be able to be worked at all or will be very weak. Now lets see what happens when we operate the DB36s as a BIP array at 105’/65′. As you can see, array operation improves the pattern of the system on 20m considerably. We also have almost 2 dB of additional gain which will allow us to hear a new layer of stations. The remaining second lobe is down almost 10 dB which indicates that we a placing most of the available power in the main lobe. We will be able to solve the problem of stations arriving at higher angles with BOP operation of the array as you will see in our next post. We also see improved Front/Sidelobe performance indicating a tighter pattern. Our next post will cover the HFTA analysis to evaluate the system performance at our actual QTH to all areas of the world and over all phases of the sunspot cycle. Stay tuned! This entry was posted in Antennas and Feedlines, Station Design, Tower Construction and Maintenance, VHF-UHF and tagged Antennas and Feedlines, Station Design, Tower Construction and Maintenance, VHF-UHF. Bookmark the permalink.